Movie Review: Limitless- Neil Burger’s Exceptional Use of Camera and Post-Production Tools Makes This Typical Thriller an Inventive Cinema Experience | Generation Film! While the center piece to practically every film is story, minus pretentious French-new wave and avant garde cinema that focuses on ambience, there is something to be appreciated with style and technicality. Sometimes the presentation of a film can greatly accentuate the story by providing the audience with a template with what the characters are experiencing and how they are experiencing it. In Neil Burger’s new dark comedic thriller, Limitless, the core strength of the film is a fresh take on allowing the subjectivity of the character guide the film in a fun, quirky, and even witty fashion. Intense sequences of blending zooms, fish lens perspectives, minimal but effective special effects, and narration wit from the protagonist all make Limitless transcend its peculiarly standard narrative and provides for an entertaining experience. Perhaps it’s the charm and likeable nature of actor Bradley Cooper that holds this film together as each intriguing choice leads to an equally ridiculous one. But if Limitless does anything through its 2 hours it shows a director with foresight and experience utilizing all the technical filmmaking tools to heighten this science-fiction tale of pharmaceuticals with an elegant style and refreshing presentation. Bradley Cooper plays a disheveled struggling writer named Eddie Morra who lives like a pig, just lost his girlfriend (Abbie Cornish), and can’t seem to put his life on track. This all changes when he runs into his ex-brother-in-law who gives him a pill that can ignite the parts of his brain that remain dormant. When taking the pill it opens up his memory storage allowing him to organize his thoughts and distant recollections while also expanding up perceptive abilities to quickly learn and utilize new abilities. This new focus changes Eddie’s life around. He writes his book in four days, learns new languages casually, takes up classical piano, and becomes an adrenaline junkie. Eyeing a larger end game Eddie throws his new found super-human abilities into the stock market in order to acquire capital to see his vision come to life (though we aren’t really allowed to know what that might be). However, such a drug would certainly have disastrous consequences and Eddie’s brain begins to experience time relapses and his body starts to shut down unless he’s on the drug. Add in a Russian loan shark hell bent on getting the drug, an energy and hedge fund manager (Robert De Niro) who wants to use Eddie’s stock talents, and an unknown yet dangerous stalker and you have multiple dangerous scenarios that Eddie is getting involved in. This narrative, despite its inventive pharmaceutical focus, certainly seems familiar but it’s the stylish presentation and believable characters that lift the film out of being considered mediocre. Nothing ever seems that surprising and the “twisty” ending is definitely tongue in cheek so the film’s clearly is more focused on being a darkly humorous modern science-fiction film. And Neil Burger certainly does this with a clever use of protagonist subjectivity and well defined characters. Since most of the story is told in retrospect through narration there has to be a certain degree of protagonist bias and invention. Eddie’s experience with becoming average to super-human is essential to understanding just how this fictional drug works and director Neil Burger certainly had a vision as to how shooting tricks and post-production magic would make this subjective experience our experience. 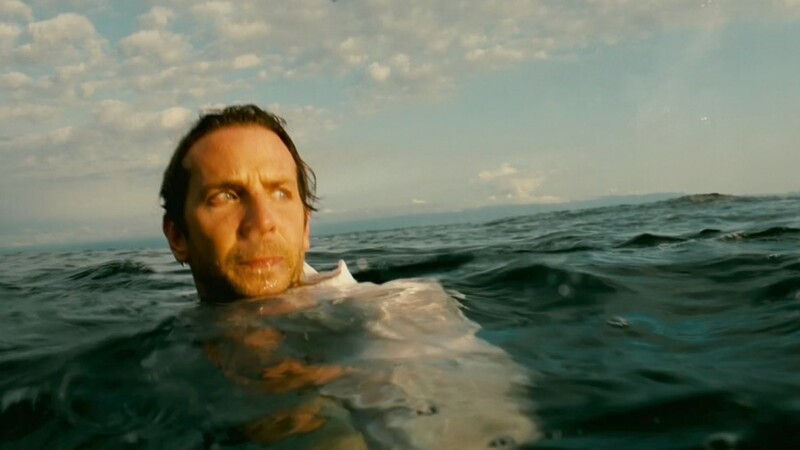 The scenes where Eddie is his normal self, or when he’s on a significant crash from the drug, the cinematographer Jo Willems makes the frame look grayish, even plain. But when the drug kicks in the screen lights up in clarity and a fish eye lens accentuates a widening perspective that makes the experience quite unique. Willems takes great liberty with the camera either moving close to his characters, flipping it to cause disorientation, or experiments with zooms. These familiar camera tricks are used in a refreshing way throughout Limitless, which is only aided with a minimalist yet equally inventive tapestry of post-production tricks. As Eddie begins to experience time lapses the camera zooms forward but does so continuously at a rapid pace so with the right use of editing the experience seems to be put together flawlessly. There are also some good examples as to how special effects can be used well and how they are used rather ridiculously. A good example is when Eddie peruses the stock market and his brain picks out the algorithms and trends the his ceiling tiles turn into company initials and numbers allowing him to separate and pick his best option. 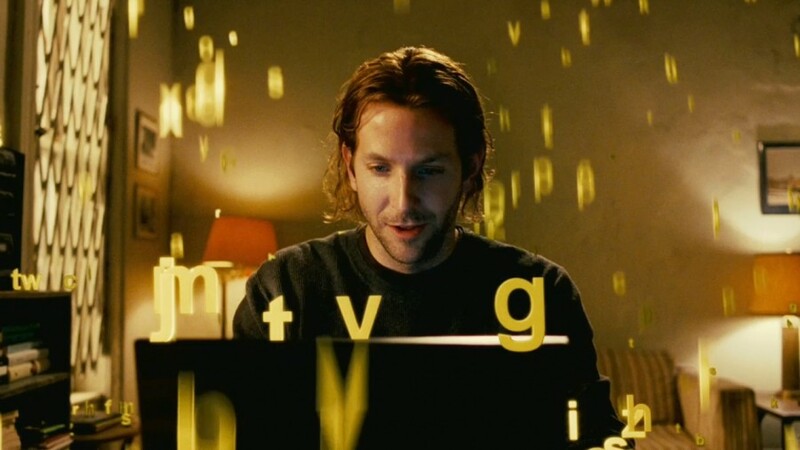 However, when Eddie begins to write his book there is unnecessary use of digital letters raining down all around him. There were definitely other and better options at the filmmaker’s disposal that would have conveyed the same message. These intriguing visual tricks and how they were masterfully layered together makes the typical thriller and intriguing experience, but there is definitely something to be said of the cast who make their characters equally interesting to watch. Bradley Cooper started hitting the big time with his appearances in comedies, such as Wet Hot American Summer, Wedding Crashers, and of course 2009’s extremely humorous comedy (yet still overrated) The Hangover. All of his roles have required a certain amount of charm and he either is such a great actor he can ignite that charm whenever he wishes or he just has a natural charisma to him (going with the latter on this). In Limitless Cooper narrates his story with delightful wit allowing the desired comedic aspects of the script to resonate well. However, Cooper is able to embrace the more difficult parts of his character’s experience including the high energy needed to convey his new found abilities as well as the complete opposite during the crashes between drug intakes. There is evidence here that Cooper can be a riveting leading man and proves his charm can be aided with diverse acting talents. 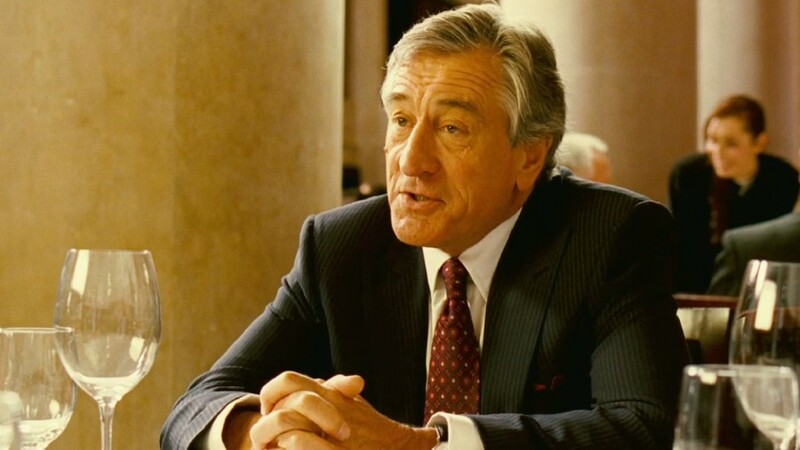 Acting as one of Eddie’s foils is the great Robert De Niro who in the last decade hasn’t really appeared in any film worth mentioning. However, his limited role needed someone with experience and he certainly makes a compelling force to reckon with. The rest of the cast fit their roles rather well despite some instances of ups and downs in Abbie Cornish’s performance. But none of the characters ever seem to be copied or used as basic archetypes to keep the story moving along, which might not ever be noticed by the average movie goer but explains many instances when films begin to drag. Director Neil Burger has made some interesting films in his career, including Interview with the Assassin and The Illusionist, and his new dark comedy thriller Limitless is no exception. While the basic narrative seems standard there is a substantial use of camera tricks, post-production inventiveness, and defined characters that really make the on screen experience a refreshing one. Certainly there are instances of ridiculous exposition choices and predictable turns, but there is no question that the film is a much better product in comparison to the marketing done for the trailer. Most people will find that Bradley Cooper’s charm and screen presence can carry a film from beginning to end, but really it’s Neil Burger’s finesse as a growing director that allows Limitless to be the enjoyable experience it ultimately aims to be with a darkly humorous wit and technical liberties.